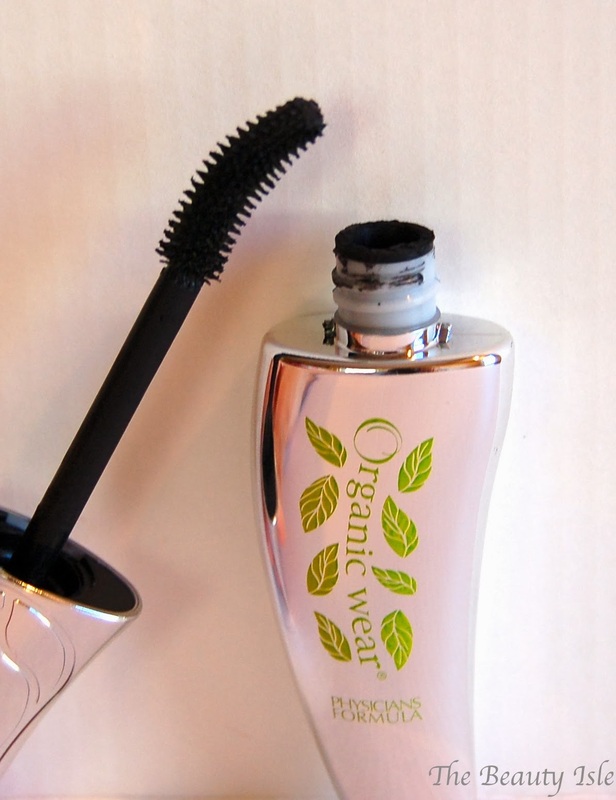 In this week's edition of of Frugal Friday I'm featuring Physicians Formula Organic Wear CC Curl + Care Mascara. This mascara retails for $9.99 depending on the store and uses "natural origin lash extension fibers for a false lash effect". All of Physicians Formula mascaras have an odd leaf-like shape. The brush is very curved and kind of reminds me of a banana. The bristles are plastic and spiky which is the type I prefer because I find I get less clumps from this type of wand. 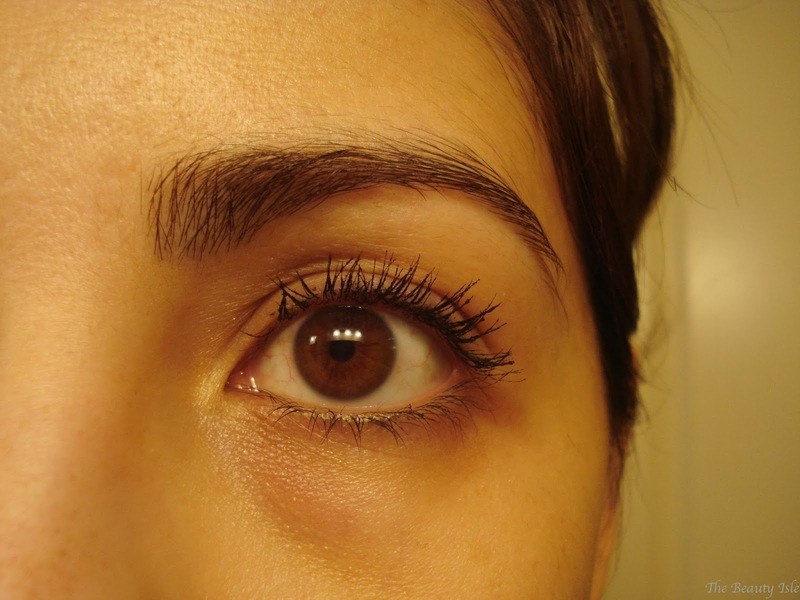 This mascara is supposed to curl your lashes as well as volumize, condition, and nourish. Despite the fact that it's supposed to curl on its own, I still curled my lashes before I application. 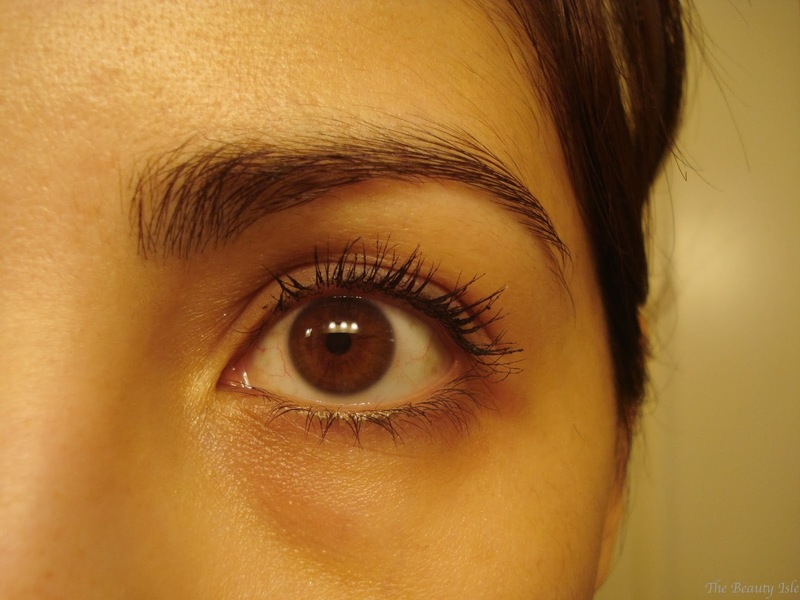 Below are photos of me with 1-4 coats of this mascara and you can see that it never clumps. The Physicians Formula Organic Wear CC Curl + Care Mascara is absolutely my favorite drugstore mascara that I've tried since I started this series. It doesn't clump and with 3 or 4 coats you can get a good amount of drama. But it's also good for daytime use with just 1 or 2 coats. 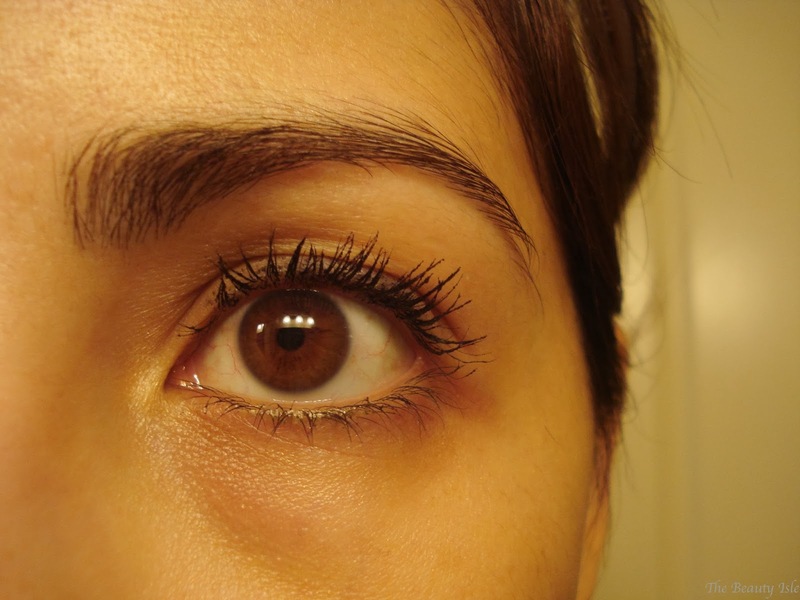 This makes me want to try other Physicians Formula mascaras. I hear the one in the green tube is great, I'll probably pick that one up next time there's a decent sale. I feel like I am SO PICKY with mascaras. I can def see the difference from one to 3 coats. Right now I am loving the Rimmel ScandalEyes Flex but its running low so I might try the original ScandalEyes in the orange tube. Thanks for sharing! That mascara looks really great on you. And NOOO, don't get the Rimmel in the organge tube! I have that one and it's terrible and barely shows up at all! Oh yes, I prefer waterproof too (though for different reasons b/c I'm in freezing cold Boston!) but I can rarely find waterproof versions of drugstore mascaras. Thanks for visiting! Thanks, I do really like this! I haven't tried any PF mascaras, but like you, I've heard the green one is really good. 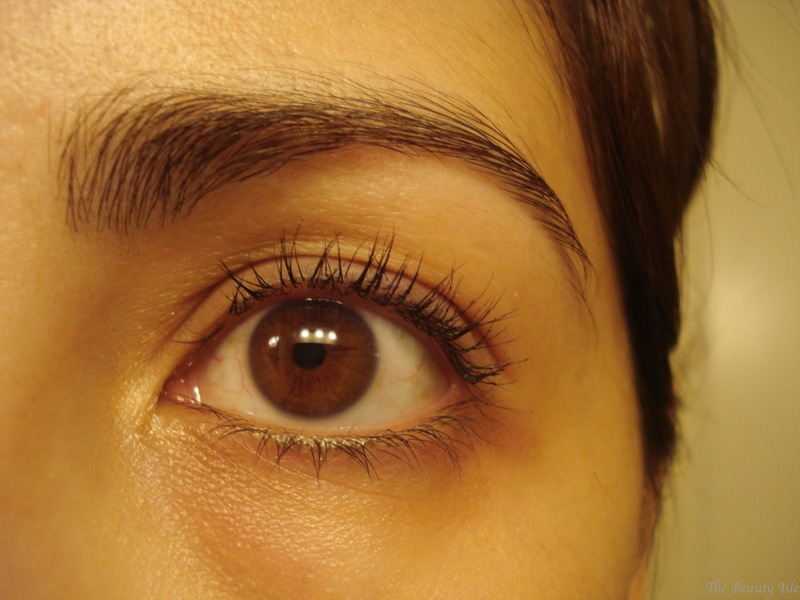 This one looks good on you, yay for no clumping! Thanks, yes I really liked it! Really, I haven't seen this in any of my stores. If I did, you can bet I would pick it up based on packaging alone. Thanks for another great review El. The packaging is really unique. The formula sounds to be amazing as you were able to achieve 4 coats without any clumping. Yes, I can't wait to try the green tube version! Thanks for reading! I've always been hesitant to try their mascaras because they're in such strange packaging but this is actually pretty awesome! I totally understand the love of curved mascara. They really get all of the clumps out! I don't know about ALL curved mascaras, but I def. really liked this one and I always prefer the spiky wands. Thanks for visiting!